Dear friends: This is a special and personal message from me to you. If you’re reading this, you most likely know that I am a Board Member for the Cancer Support Community Greater Miami (CSCGM). Over the past four years, CSCGM has become very close to my heart, and I do all that I can to assist their efforts. Last summer, I provided free Tennis Camp for children in families served by CSCGM. This includes children (and their siblings) with cancer in their pediatric oncology program, as well as the children of parents with a cancer diagnosis. It was an incredibly gratifying experience to see these children play outdoors every day, thrilled with the opportunity to just be kids. Since opening its doors in 2002, CSCGM has welcomed more than 27,000 patients, free of charge. The need for professional cancer support services for kids, teens, & adults grows daily—in 2016, CSCGM served more patients than ever before (28% more than in 2015). Thus, I am dedicated to raising $2,500 by the end of the year to help fund these programs. Your tax-deductible donation today would make a direct and immediate impact on patients and their families. You can also watch CSCGM’s video and see where your money is going. 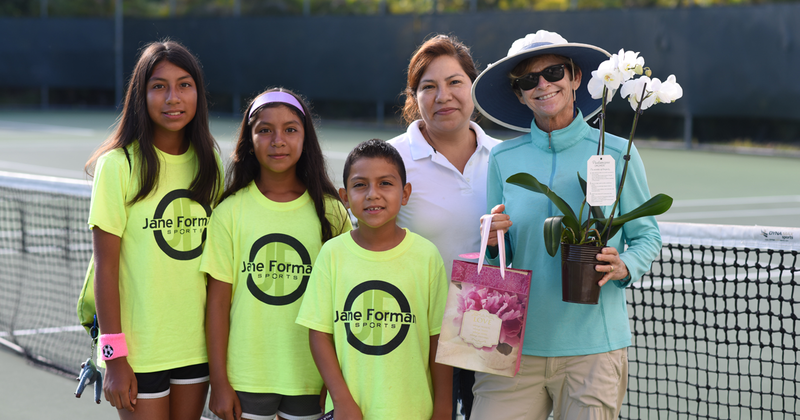 Photo Above: the children of the Padilla family received 10 weeks of free Tennis Camp last summer through our partnership with Cancer Support Community Greater Miami (CSCGM).